Do you like Tres Arroyos? The party of Tres Arroyos is majestic, but this time I want to see pictures of dawn which also holds its own as a geographical curiosity in this locality as the sun rises and sets in the sea. 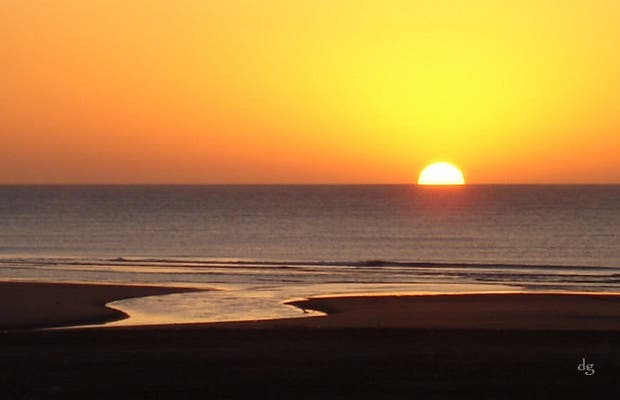 The sector designated marine area is located near the mouth of the creek Claromecó and as soon as the sun peeks shyly, ships are ready to sail to try their luck with fishing. In particular, I love watching this from a far to get a good look at this set of boats, stream, sea and sun climbing the day as the city stretches. The few sounds of that time come off by the distance, metallic beats, vocals, boats towed by tractors, seagulls, sea.